As a Reader’s Services Assistant, I hear these questions a lot. Sometimes the answer is a clear “yes” or “no.” Other times, not so much. As readers, we remain in the nursery stage so long as we cannot distinguish between taste and judgment, so long, that is, as the only possible verdicts we can pass on a book are two: this I like; this I don’t like. 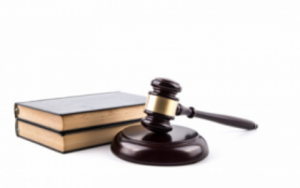 For an adult reader, the possible verdicts are five: I can see this is good and I like it; I can see this is good but I don’t like it; I can see this is good and, though at present I don’t like it, I believe that with perseverance I shall come to like it; I can see that this is trash but I like it; I can see that this is trash and I don’t like it. I’m a vocal defender of letting “like/don’t like” guide your reading habits, but as someone whose job involves making recommendations, Auden’s Five Verdicts are a very useful way of thinking about books. “This is Good and I Like It” - These books can be hard to f ind, but when you do find one, you know. You read them over and over, pressing them on friends and family with evangelical fervor. You put them on your year-end best-of lists; you give them five stars on your book rating app of choice. You may accept that other people don’t like them, but you never quite trust those folks again. 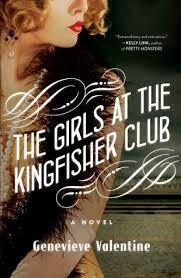 For me, this is a book like Genevieve Valentine’s The Girls at the Kingfisher Club, which is not merely an example of a Thing I Tend to Like (feminist retellings of old stories), but also a compelling, smartly constructed novel full of rich characters and beautiful language. It is good, and I like it. “This is Good But I Don’t Like It” - These are the most frustrating kinds of books. You don’t actually want to read them, but you wish you wan ted to read them. You slog through them joylessly at a pace that would allow you to finish it sometime in the next five to seven years. You can see why someone would recommend it in general, but you are at a total loss as to why someone would recommend it to you, specifically. 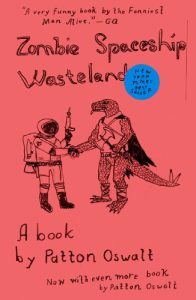 The best example, for me: Patton Oswalt’s essay collection Zombie Spaceship Wasteland, which is a smart, well-written book that is primarily about The Need to Get Out of the Suburbs and Make Art, a subject that I am basically never going to respond to well. In other words: yeah, the book is good, but I sure don’t like it. “I Can See This is Good, and With Some Effort I’ll Like It Eventually” - These books make you wrinkle your forehead in confusion and let out a contemplative “Huh.” You don’t understand what’s going on, but you know that you’re feeling that way because the author wants you to, no t because the writing is just shoddy. You understand why people suggested you try them, and you respect their motives for doing so, even if you ultimately decide you’re not interested in putting in the work on any particular book. 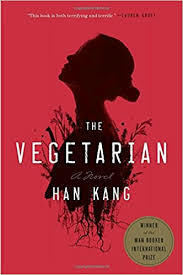 This was my reaction to Han Kang’s The Vegetarian. It was well-written, and I could see the broad sketches of what it was trying to achieve, but I suspect it’s a book that requires multiple readings to really appreciate. Am I going to give it those multiple readings? Eh, maybe. “This is Trash and I Like It” - These books are the literary equivalent of boxed mashed potatoes: enjoyable, filling, and forgettable. Sometimes you read them in one sitting, sometimes in 15-minute chunks, and you find both methods equally acceptable. You’d only recommend them to someone whose taste is already pretty close to yours. As a pure numbers game, you read more of these books than any other kind. I’ll go with Lisa Kleypas’ Cold-Hearted Rake here. 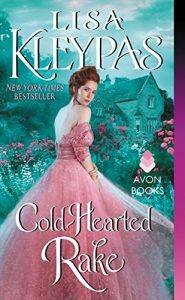 While I’d put lots of romance novels in the “Good and I Like It” category, this one is just a competent, mostly enjoyable read with a plot that I can only kind of remember despite having read it less than two months ago. “This is Trash and I Don’t Like It” - As a Book Squad member who is firmly against book-shaming, I’m not going to give specific examples for this category, but we’ve all got them. Do not waste your time on these books. Release them back into the universe and resume your journey toward readerly fulfillment. So, the next time someone asks if your book is good and you don’t know how to reply, just take a deep breath and let Auden be your guide.